Policy Enforcer is used to check and remediate restriction policies on a Workspace ONE Managed Windows 10 machine. If a user were to try to override configured Policy CSP settings by attempting to edit the Windows Registry, Policy Enforcer will compare the current value with the MDM configured value and reset the registry if the values differ. 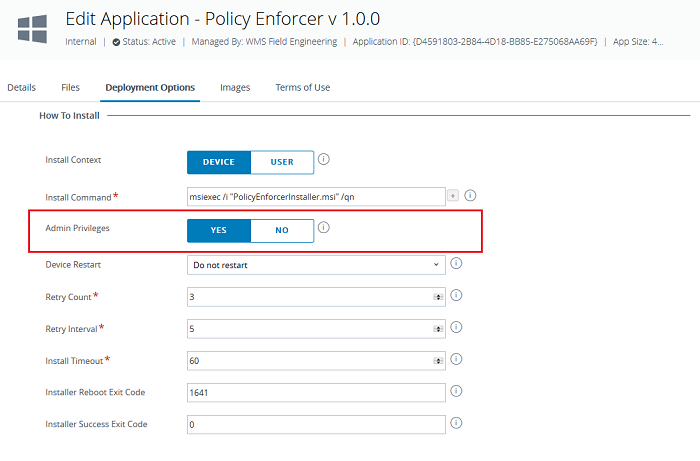 Policy Enforcer can be implemented by uploading the MSI installer to the WS1 UEM console and deploying as an internal app via Apps & Books.